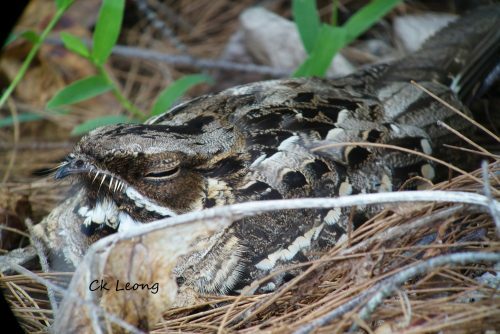 The Large-tailed Nightjar Caprimulgus Macrurus is the commonest nightjar in Borneo. You will be able to hear its tok tok calls in various kinds of habitat from grassland, secondary forest to cultivated areas and even in urban areas. Add off-shore habitat as well as I found this particular individual on a small island off Kota Kinabalu. Always nice to see a nocturnal bird in the day! 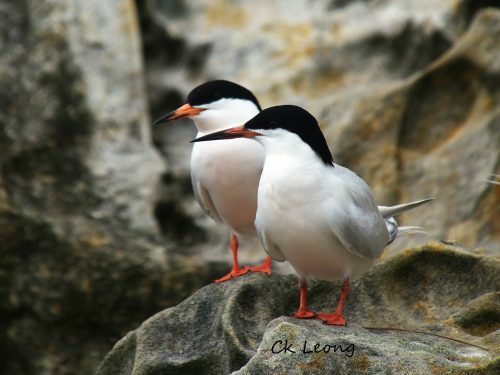 There are few records of the Roseate Tern breeding along the coast of Borneo. However since last year, this bird has been observed in breeding plumage on a small rocky outcrop just off the Layang-layangan beach on the west side of Labuan island. I was able to visit this location in June this year and saw that indeed these birds were breeding here. There was a small colony of this species together with Bridled and Black-naped Terns. I had been hoping to see this tern for a long time and it was a wonderful moment. Thanks to my birding friends from Labuan.